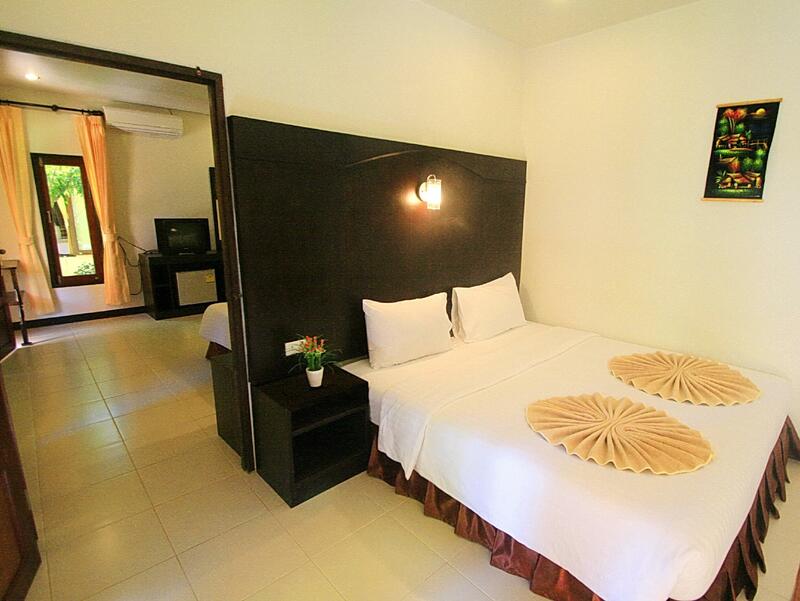 f you are looking for somewhat economical beachside accommodation on Koh Lanta, this is good option. 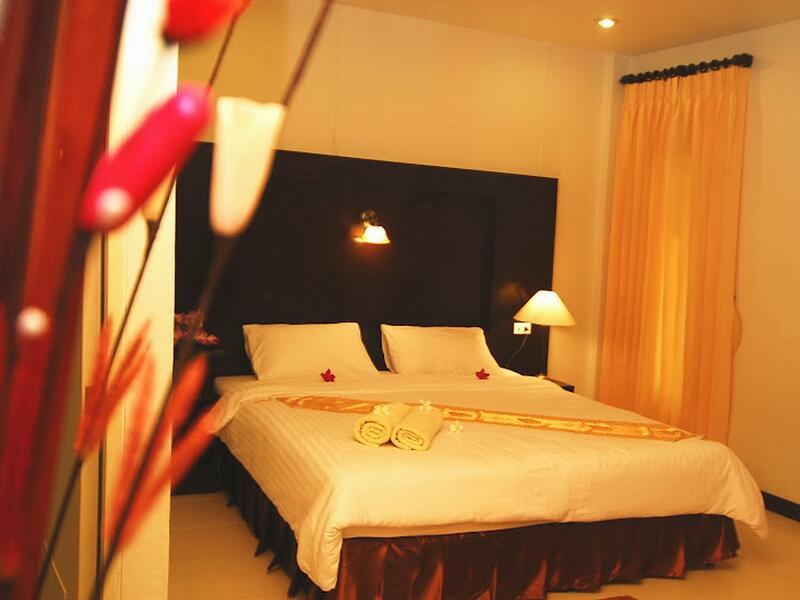 The resort is located on Klong Khong Beach, and nestled amongst the many beachfront restaurant. It has atmosphere, even if it is slightly rundown. Breakfast is not much to speak of, however you can still get eggs any way you like them. The pool is a big plus, there are few beachfront properties with this feature, as such it is great for families, of which there were many. The Superior bungalows are in an avenue at the back of the resort. They are basic, but airconditioned, and serviced daily. There are minimarts within easy walking distance, and plenty of food options both on the beach and the street. We didn’t try the restaurant at the hotel as we found it quite pricey, particularly the bar, however it was very busy. Overall, I would classify as value for money given the location. We spent a week, and would probably go back if a better alternative for the price was not available. I stayed here with my wife and two small children. The location and hotel are awesome - great value for money. We love the rooms, pool and the beach. Laundry facilities are nearby. Free parking. Grocery store within a few minutes walk. Great place for families. After reading a few bad reviews I was a little apprehensive about our stay here. But after just a few hours I was put at ease. 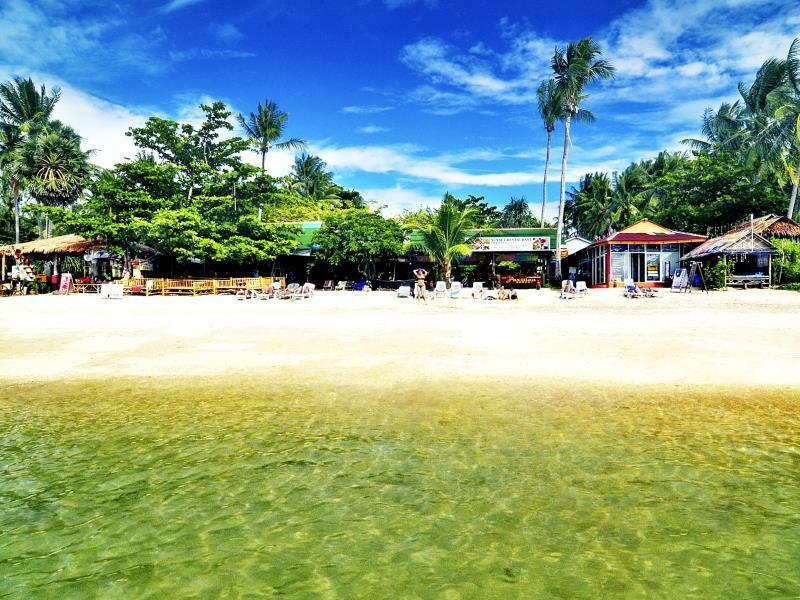 The staff here were very friendly and helpful, the location was perfect, right on the sand! Yes it’s true, this probably isn’t the nicest resort on the island but for a fraction of the price of other options, it’s perfect. With the exception of breakfast (pretty disappointing) the food here is incredible and the drinks from the bar are well prepared. I would definitely stay here again. Live bands, fire shows & a nice seafood restaurant. What more could you ask for? I took a few tours from the travel agency there & had a blast. The shuttle to Krabi airport was simple & the massage ladies were lovely. Very happy. This is not a resort, it’s a dump that nobody cares about,. We arrived and checked in, when we saw the bungalow we left immediately. It is a fungus infested mosquito trap. We booked and paid for two nights @ $75 a night, for that money we got nothing. Thank good there was a hotel close by with room’s available. This place is a shame and should never be listed as a place to sleep. Not good placed. Beach dirty and many stone. Cannot swim. Dont trust the pictures. I booked for 2 days and stayed only for 1 days. Better move to krabi and money cannot refund due to hotel policy. Never go again to this hotel. Very big mistake. it's not the nicest hotel we had in koh lanta but it's the best! (it's pretty basic) but i can't complain on anything. the stuff was so friendly and tried to help where they can! specially at the bar they are so funny! we had such a good time there! so good atmosphere, so chill, good food everything what you'll need! loved it! will defenitly go back again! the hotel locats at the west of Lanta with beatiful sunset. I wrote an email to the owner the day before I arrived on details to get to the hotel, he was really quick in reply and offered to provide a free pick up from the pier. Excellent service there. Room was great, A/C and fan both working fine, though we used the fan more than A/C during our stay. The only peeve we had was the toilet had an unpleasant smell all the time even though it was clean.. not sure where the smell was coming from. 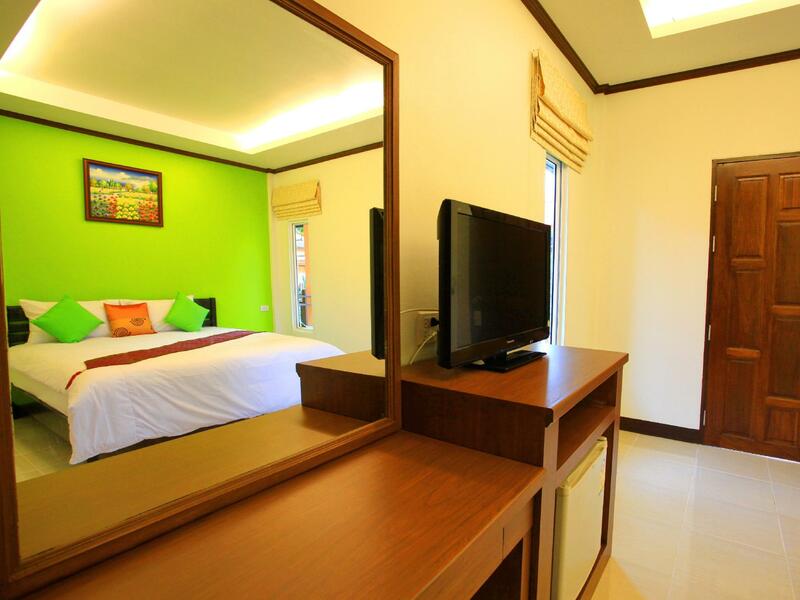 Other than that, the room was always clean and towels are changed every day for us, which is nice. Staff spoke good English and fast in putting through our requests for booking activities or ferry transfer. The Thai full massage at the resort is fantastic, a must do while you are here. we tried a massage further down the beach, but was not as good. Overall we had a great stay. We booked 3 rooms for our parents (both sides) and 3 small children below 8 years old. It was an unforgettable vacation. The restaurant was under renovation so we have to eat out, but the local Muslim restaurant is just across the road. The food very nice and it has wifi access. Just remember to bring bugs repellent or mosquito spray :) We'll definitely return here again! Pleasant stay although many things can be improved: cleanliness of the room (shower drain completely blocked, no pressure at all in the shower partly due to calcaire, licking toilet, bathroom tub not cleaned, the curtains are more than dirty), the parking is near reception so all the motorbike make noise passing in front of the room at night and in the morning. Clean towels every day, good WiFi and good laundry service. Loud music from the bar for the rooms that are close to it. If you like some animation the bar is really nice with sometimes a live reggae band. The hotel situation is nice, nice beach although the smell of petrol on the beach due to the night fire show. Many restaurants around for the evening or just to chill out during the day. The staff is very kind and smiling although you can feel the lack of experience, they make their best to make you happy. As we arrived there the bungalow we got was right next to the busy main road. It was kind of new but not clean at all an the bathroom felt used, not comfortable. Next day we got a older bungalow closer to the beach. It was clean. All together it is some kind of family resort with a pool a bar a restaurant. For my opinion it tries to be nice and family like but it is a avarage facility. Stayed here in low season and kind of a joke. For all intensive purposes it was closed - but we booked a low rate non-refundable so we’ were stuck (we knew it was low season so checked their website before booking and NO mention of limited staff and facilities) When we arrived we were told limited - Limited is an under-statement! There was zero staff the entire 9 nights we were there outside of the person who cleaned our room (and it was cleaned whenever we asked), but no reception, no restaurant (couldn’t even get a morning coffee or ice). The beach was filthy, I had to clean the pool myself and the lights weren’t even on in the evening to help us find our way back after a stroll on the beach. Their sister resort provided reception services (and admittedly were very responsive) and you could use the sister resort amenities but that resort was a kilometre away. We made the best of it but felt kind of ripped off that really they were closed. 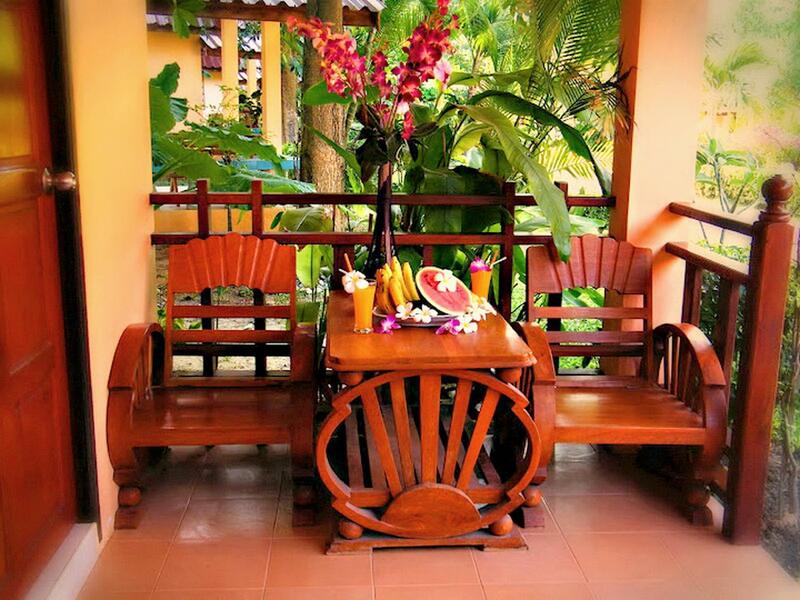 Try booking next door at new coconut bungalow or at the sister resort ‘Phutara’. Probably better in high season but if that’s how they choose to run their business I’m not sure I would go even during high season. Location was great. Close to freedom bar and 7/11 and a few restaurants. Went to New Coconut Bungalow (next door - same great location) for dinner and live music and the bungalows and service were 10 times better that Lanta Pavillion. One night we happened to be out on our patio when a large group came to check in (it was likely only around 7:00 PM) and we had to help them track down someone to let them in to their booked rooms (no lights and no one at reception) - we noticed the next day they were gone.